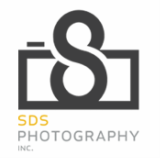 Your Photographer - SDS Photography, Inc.
My name is Shawn Sprouse and I have been alive for 41 great years. I am happily married to my wife and have three unique and amazing boys. I love spending time with my family, my photography and coaching. I have been active in Roanoke County as a baseball coach and enjoy it greatly. I started my business in 2008 and have grown steadily each year. My portfolio of work has changed over the years as I have gained more experience and have learned what aspect of photography I enjoy most. I am interested in several styles and avenues of photographic work but the past several years I have found that I enjoy professional head-shots, high school seniors and sports. Many people own artwork that I have created and know me for my Virginia Tech images. A giant image of Lane Stadium (almost 4 ft. wide) can be found hanging in the Blackburg Taphouse. I have had several clients that I enjoyed working with over the years but there are moments in my career that stand out for me. A few highlights are as follows. I had the privilege or working as a lighting assistant for photographer Gary Felton on a commercial campaign project for the U.S. Virgin Islands. It was during this week that I realized that I was very capable of doing that type of work and saw that the methods I had been using were used by even more seasoned and successful photographers. I have worked for Roanoke County Department of Tourism and Events since about 2008 as an event photographer. I have also done a commercial shoot advertising Explore Park as a wedding venue. One of my images was also selected as the cover for a Roanoke highlight book that is given to companies looking to move to the Roanoke area. Earning the cover of a Roanoke brag book was a special honor for me. My work can often be found in Our Health Magazine. My work in this publication is broad from professional head-shots for employees of the medical field to local health events. I have also earned the cover art for the April/May 2016 edition. I have also had the wonderful experience of working on two movies that were filmed in Roanoke and Staunton. During this time, I did professional head-shots for actors and actresses and also had one of my images featured in one of the films. My images were also used for cover art for the movie poster and DVD box. Several doctors and health professionals in the Roanoke area. ​Our Health Magazine - several editions over the past few years. Image of the week for NAPP (National Association of Photoshop Professionals). Cover of the Roanoke Brag Book.